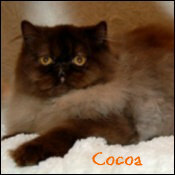 This is my Cocoa. 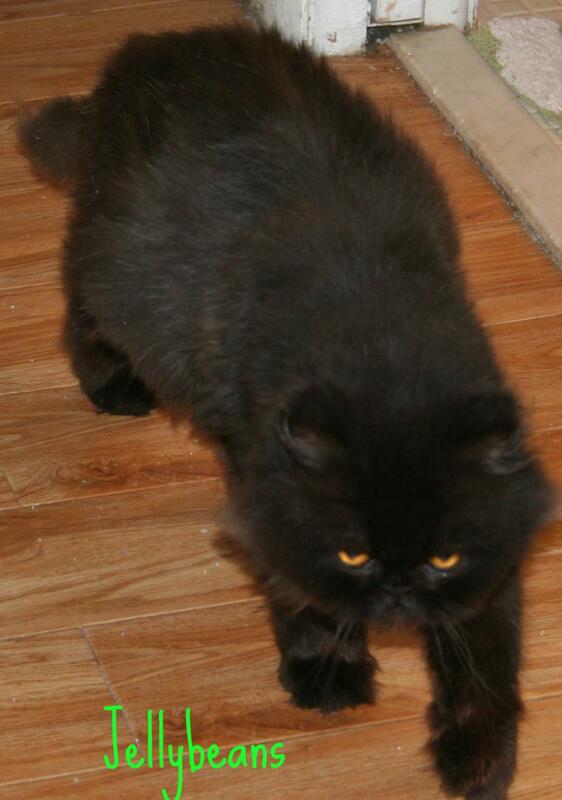 She is my chocolate Persian and she will be retiring in the next year. This is Charis my beautiful Minuet that I waited for years to have. She is a short legged cat and has the most gorgeous kittens. 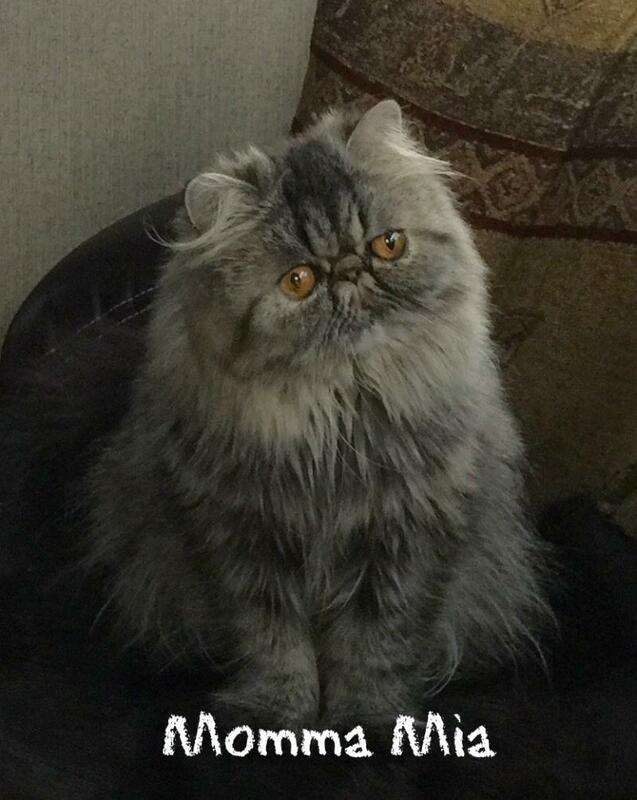 This is Stormy. 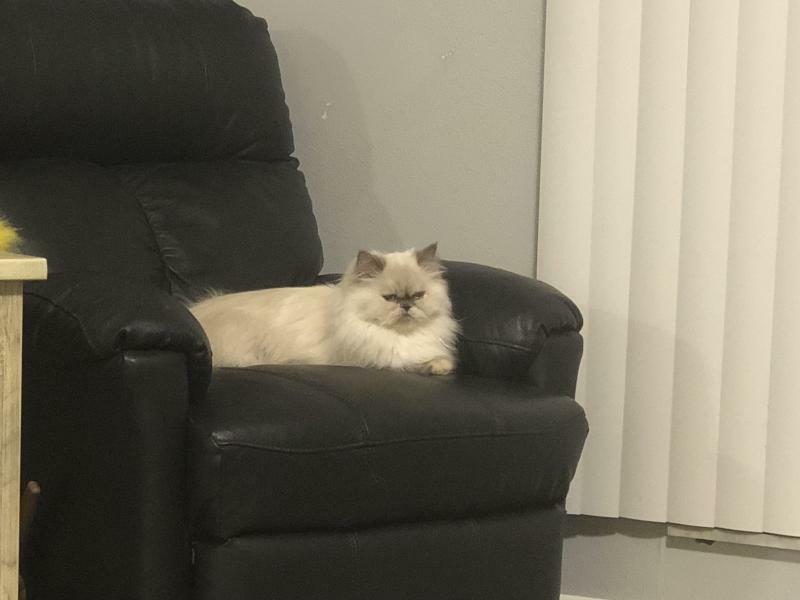 She is my first Himalayan and I am so excite about having her. She does carry lilac a very rare gene. She had her first litter with me and had a beautiful chocolate point, a red flame point, a white and a blue cream. Momma Mia is residing at my daughter house, and she is now the new owner. She does plan on breeding her. I will let you know when she does. 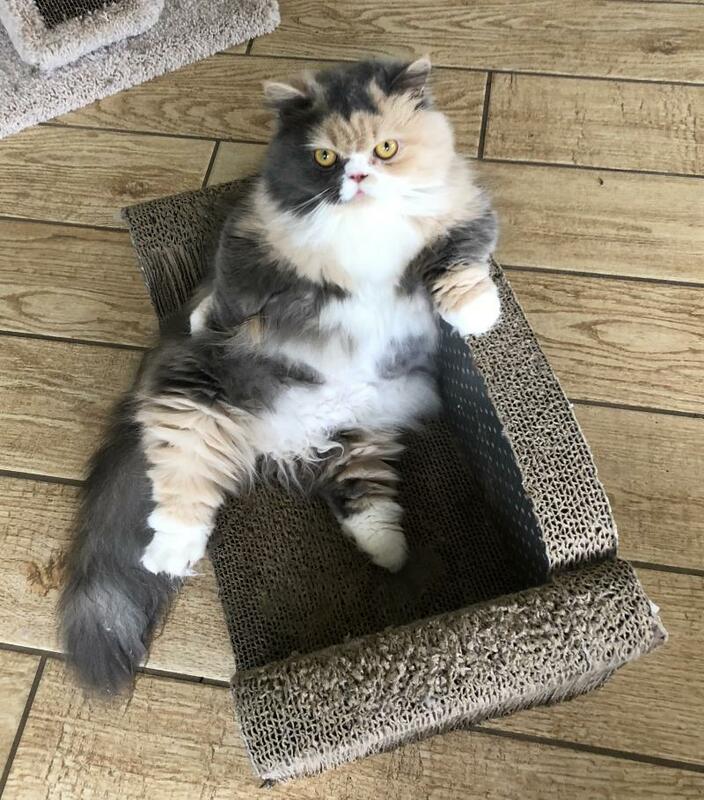 Jellybeans is one of my orginal breeders. She too will be retiring soon once my little ones grow up and are ready to breed.